A stunning prayer plant with a deep color palette of leaves painted by nature. Loves humid environments, bright light and distilled or rainwater. 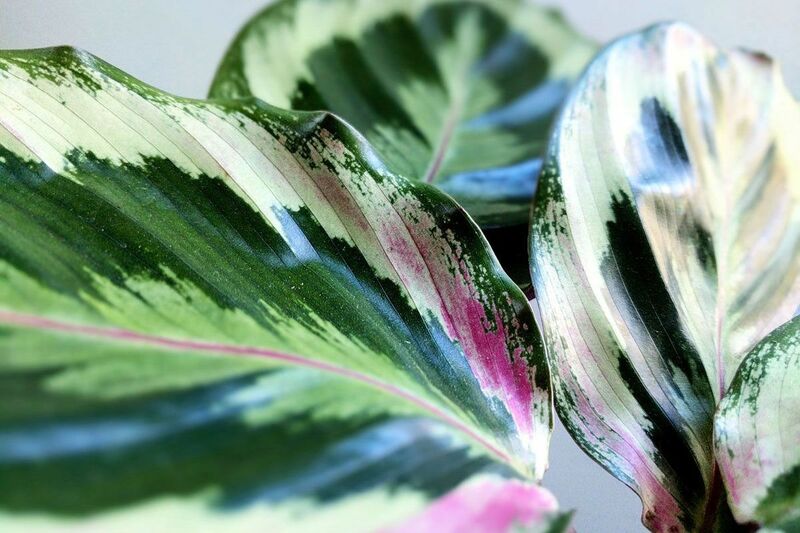 Also known as the Rose Painted Calathea, this beauty is native to the rainforest floors of Brazil. At night, its leaves close slightly in prayer, a gentle reminder of being alive! Follow the instructions below and you should not have problems with your Calathea Medallion. 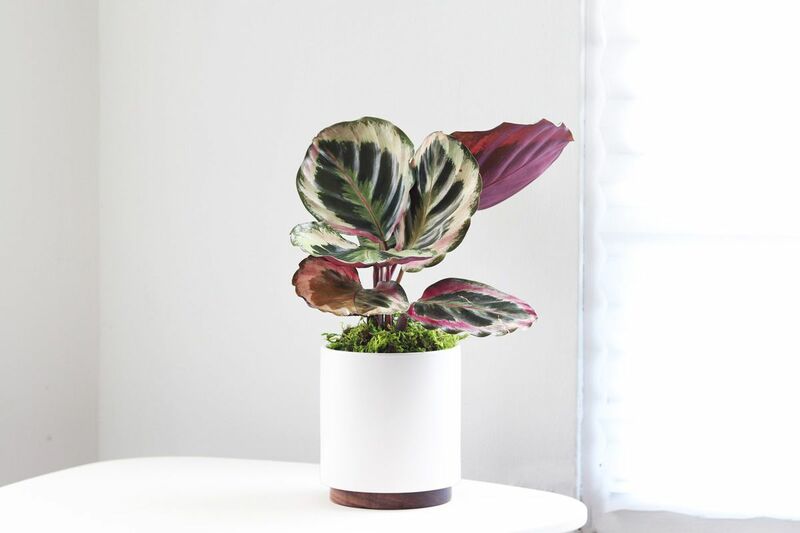 The Calathea Medallion requires bright indirect light. Avoid direct sunlight which may burn its leaves. Keep soil humid, but not drenched. Check soil every 5-7 days and water when still slightly moist. 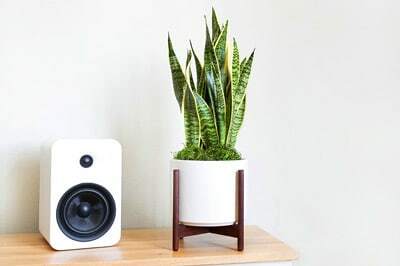 The best way to give it water is to take the plant out of the decorative pot, thoroughly water it and let all the excess drain before putting it back. As with all plants, avoid overwatering and drain any excess water from the bottom of the pot, as standing water may cause root rot. Regular misting and watering will help prevent the leaves from turning yellow or brown. Overwatering will cause the leaves to go limp. Write us at hello@leonandgeorge.com with any questions about your Calathea Medallion not covered here.